Hey everybody my name is Steve and I just recently bought a 2014 FZ09. It's been a while and it's great to get back out there. 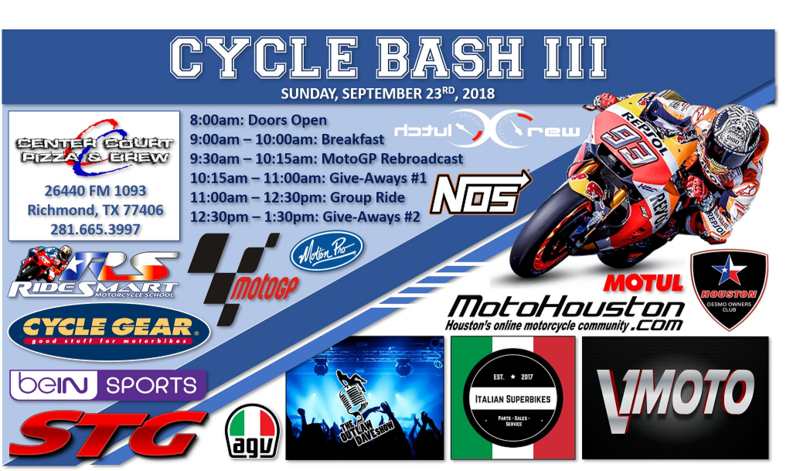 I just joined last week and went on the group ride and enjoyed the MotoGP watch party. Looking forward to many more outings. I'd like to thank my buddy Brandon for telling me about this site and I look forward to meeting you all. Glad to hear you made it out to the event & ride. I was out there & had a great time even with rain. There is a great groups of guys and Ladies that enjoy riding safely and experiencing all different type people with the passion to excel in all levels of skill set. watch Morganator weekend and some othe day ride group rides with details. Glad you made it out to the watch party and ride! Be sure to join us for our larger bi-annual event below!